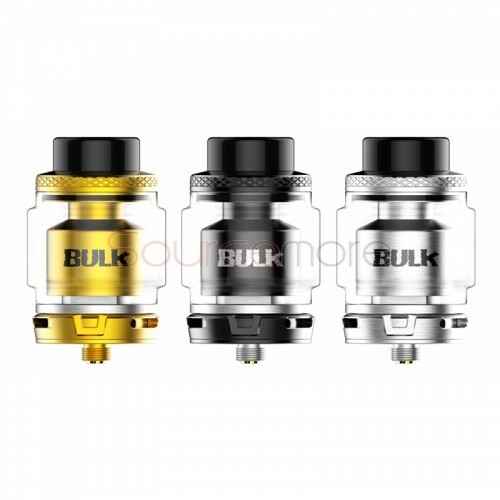 Bulk RTA is a dual coils rebuildable tank atomizer with postless deck, designed by Oumier and YouTube reviewer VapnFagan. It features adjustable airflow system and top refilling solution. The atomizer has a maximum of 6.5ml in juice capacity. Available in Gold, Black, SS. All times are GMT+5. This page was generated at 09:44 AM.